"Oh, Dakuwaqa!" - The Shark comics and cartoons: Don't break it until you can fix it. Don't break it until you can fix it. I'm sorry for the mushy-melancholic theme of today's comic (can you still call it a comic if it were sad?). 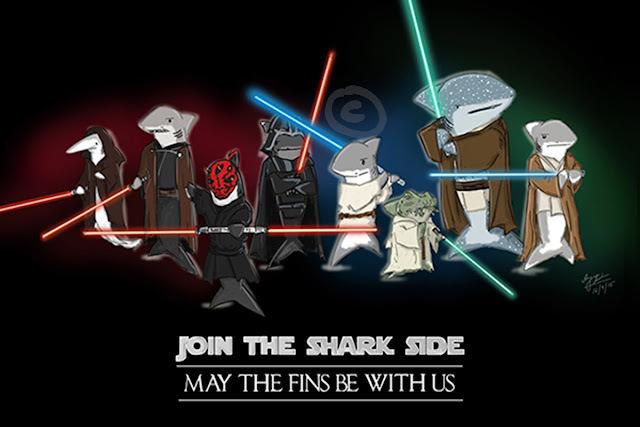 Just to be clear, that's not my particular shark missing a fin. It represents any shark. What if they designed fins for sharks like that kid did a tail for the dragon in "How to train your dragon?". Of course, it wouldn't then be okay to continue to fin the sharks and just get them artificial replacements. 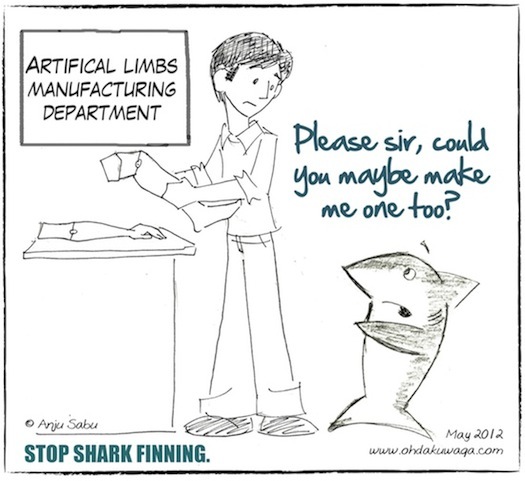 I'd done a few "Stop finning" sketches in case people want to use them and this was one of them. We'll resume the regular silly posts soon.